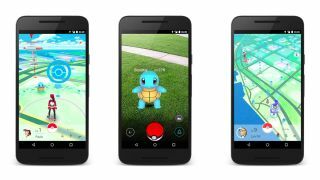 Pokemon GO, the smartphone game that will let you capture pokemon in real-world locations, is coming stateside. It's not quite ready for a full launch yet though, so if you want to get in on the augmented reality monster-hunting ASAP, you'll need to register to be part of Niantic Labs and The Pokemon Company's field test. "Because the game involves numerous people playing in multiple countries at the same time, we have a lot to test before we publicly launch. This is why we are asking for your help," the development team writes on the Pokemon GO website. "We would love for you to - if selected - download the field test version and play it. Your regular gameplay and feedback will help us iterate, polish and make the game launch-ready." If you're up for the test, go get registered, and prepare to wade into some tall grass. Just be sure you wear long pants because the ticks are real bad this time of year. Can't believe the professor never told us that.